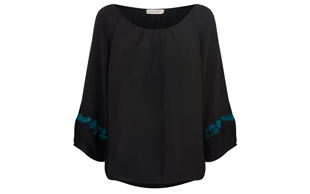 Our Suri Blouse features a relaxed fit and billowy sleeves, forming a romantic silhouette. The delicate cuff embroidery is an arrangement of flowers and wild leaves. Constructed from crepe de chine, it will keep you cool and comfortable during the active summer days. 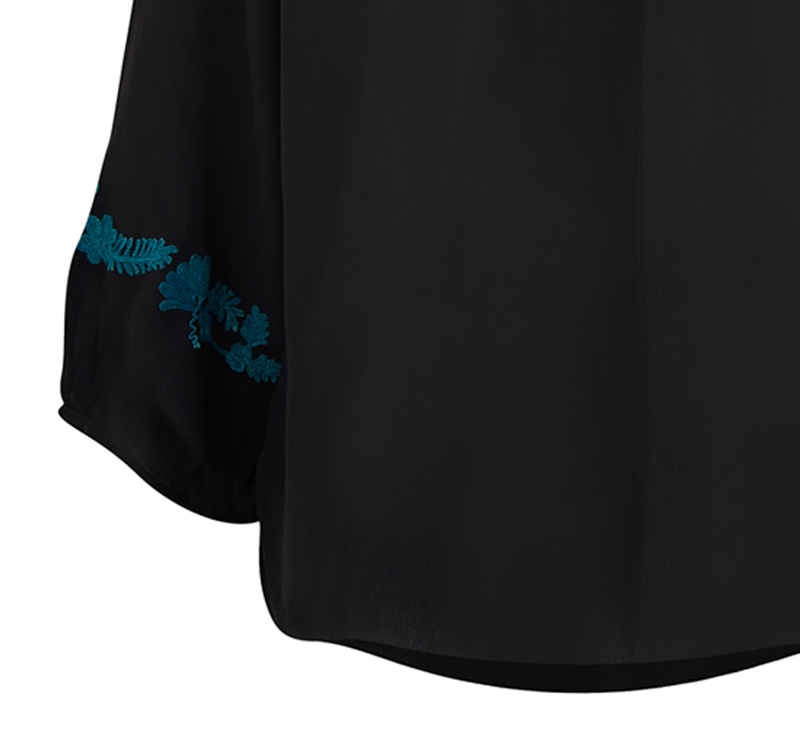 The elegant drape of this piece will pair easily with jeans and shorts.